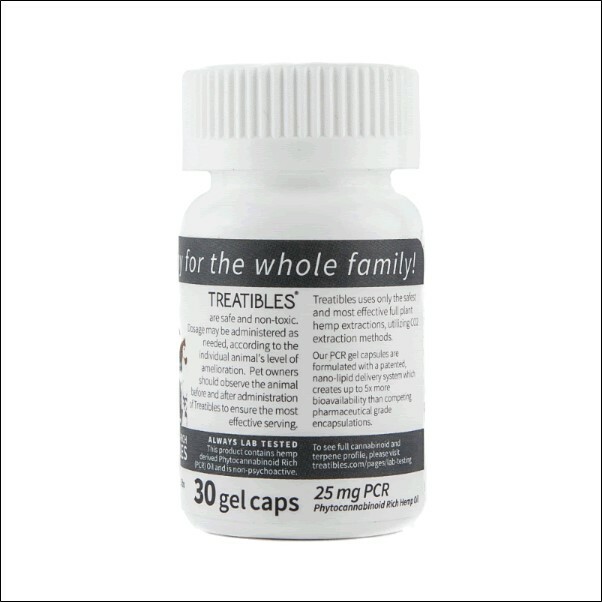 Treatibles has been creating thoughtfully formulated pet products with superior quality ingredients and providing consistency you can trust since 2013. 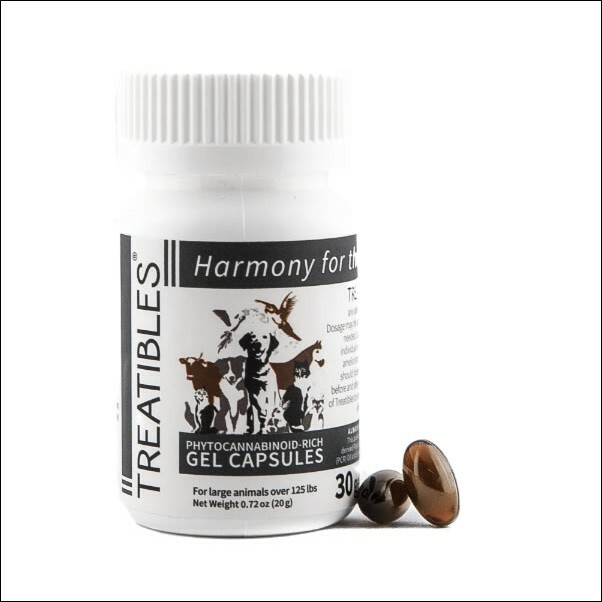 Treatibles Phytocannabinoid-Rich Oil Gel Capsules can help provide calm, balance, support and vitality to any size companion. 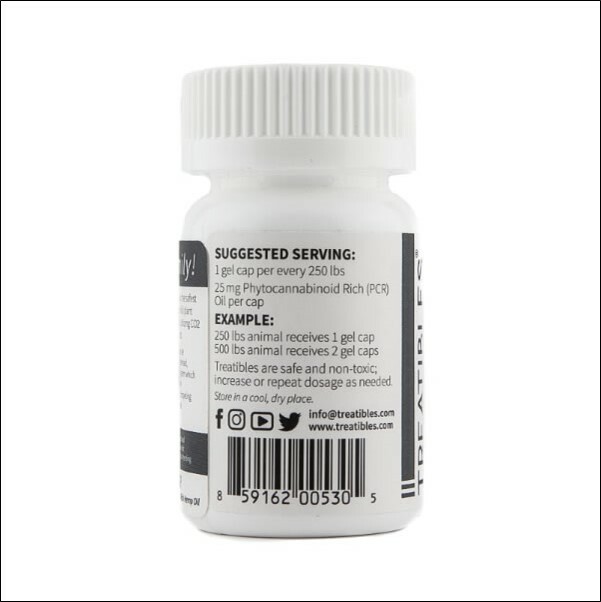 Each capsule contains 25 mg of PCR hemp oil. This size capsule can be used for animals 125 lbs or greater in size. It is ideal for large dogs and other larger animals including goats, pigs and large animals up to 2,000 lbs. This capsule can be given 1 capsule/250 lbs.